India is a constantly evolving ancient society with insights on one hand and positive assimilation of traditions, culture and knowledge that are other than our own, on the other. With ‘AIM HIGH TOWARDS EXCELLENCE’ as its motto, AIS strikes a balance between a global perspective and the ancient Indian legacy of culture. Nestled in a pristine and breathtakingly beautiful ambience, AIS is managed by the Akash Education Trust, a dedicated group of professionals committed to Education. It provides a rich environment of the cultural richness with a blend of the modern and traditional educational system to nurture young minds and propel them forward to face the challenges of life. 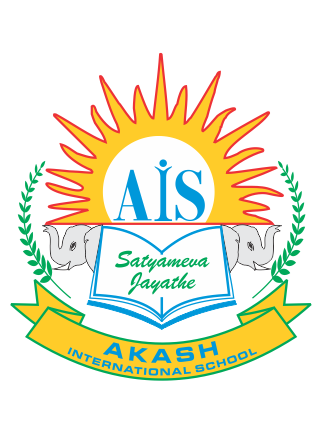 AIS prepares students to be conscientious and responsible citizens with a sense of integrity and honesty which will be imbued with a spirit of adventure, exploration, research and creativity. It is our mission to create an environment which promotes awareness and development of the self so that, individually and collaboratively, all students learn to make a positive contribution to the society. AIS nurtures and empowers children with the universal principle of self discipline, self enquiry, self discovery, self confidence and self sustenance, leading to development of a community service ethics in education. AIS envisages holistic education by rejuvenating each child with academic excellence and co-scholastic proficiency equally… creating physically fit, emotionally stable, morally upright and globally competent citizens.